This is the first of the pictures I made to explore identity, gender and the way we are conditioned to look at people. 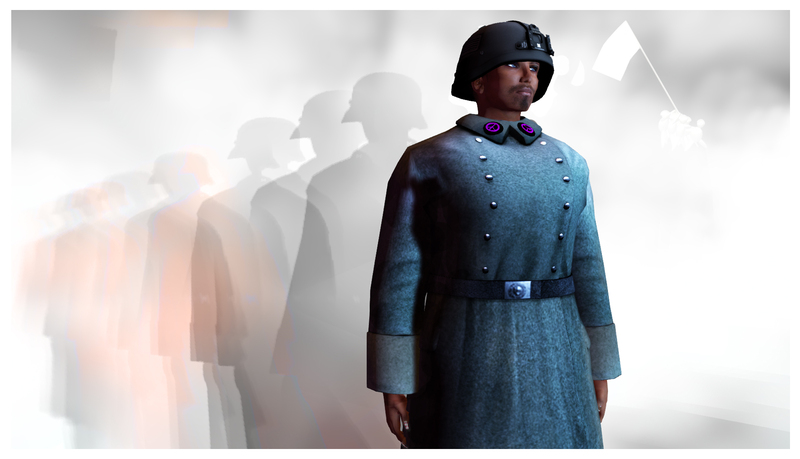 It is a female avatar with a female skin with a beard in a military outfit, Then military outfit is both modern and of world war II vintage. There are more references towards world war II. I am working on a series of images that play around with identity. 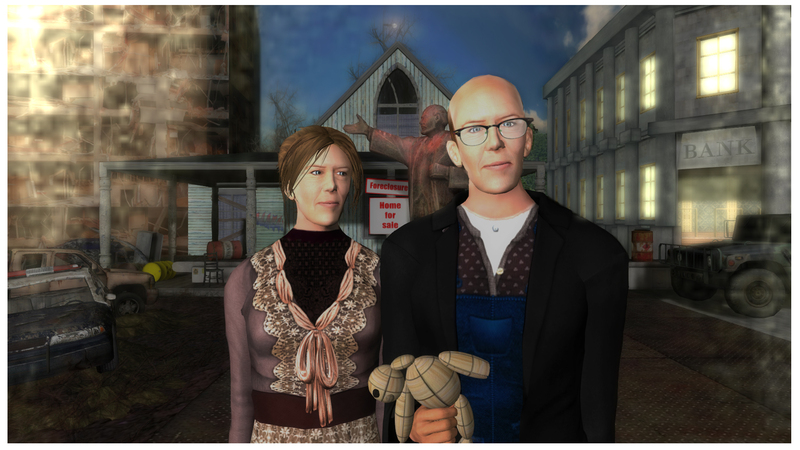 Next to the Fatherland and With A Pearl I made American Gothic 2015. It is Inspired by the famous painting by Grant Wood. It is not just a parody as it is meant to be more than a funny change of the original. It is meant to be explored. The essence of the picture is the two avatars. 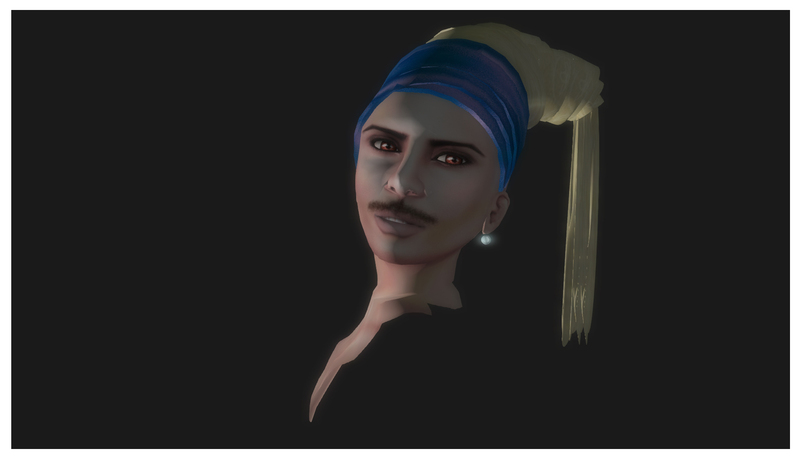 They are both male avatars with male hair and such. The only female part is their skin and, of course, the way they dress and your thinking. For it is your mind that tags gender on them. Below is a link to the original. Because of my background I am interested in identity, gender and how one presents oneself. 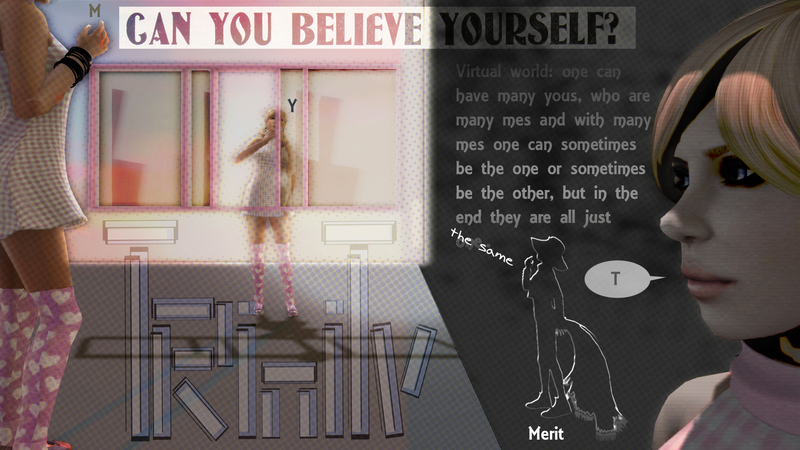 In Second Life one can create an identity according to their own wishes, up to a certain extent. As part of this I made a few images that capture this. The first one is called: with-a-pearl after a famous painting(and now a movie): the girl with with the pearl earring. (in Dutch: Meisje met de parel). It is part of a series that explores identity and was meant to be shown at the 12th edition of Second Lives birthday. I think it won’t be. This picture shows a female shape with a male skin and a mustache. What part makes it male and what part makes it female?